28/08/14 -- Soycomplex: Beans closed mixed. Weekly export inspections came in at net reductions of 62,800 MT on old crop and net sales of a healthy 1,290,800 MT on new crop. It will come as no surprise to hear that China was the largest buyer on the new crop taking 655,000 MT. The new crop sales beat expectations of 750 TMT to 1.1 MMT. Other news was generally lacking, MDA CropCast left their forecast for the 2014 US soybean crop unchanged from last week at 3.704 billion bushels. There's talk of Sudden Death Syndrome (SDS) popping up in isolated cases in US soybean fields. Sep 14 Soybeans closed at $10.73 3/4, down 12 cents; Nov 14 Soybeans closed at $10.28 3/4, up 5 cents; Sep 14 Soybean Meal closed at $433.20, up $16.70; Sep 14 Soybean Oil closed at 32.64, down 3 points. Corn: The corn market closed around 4-5 cents higher. Weekly export sales came in at net reductions of 32,700 MT on old crop and net sales of 695,600 MT on the new crop. The latter was in line with trade estimates of 450-750 TMT. MDA CropCast left their estimate for the 2014 US corn crop unchanged from last week at 14.427 billion bushels. South Korea's MFG bought 136,000 MT of optional origin corn for Jan–Feb shipment. South Korea's KOCOPIA seek 55,000 MT of optional origin corn for Jan shipment. China sold 151,132 MT of corn at auction. Brazil are said to be attempting to auction 1.75 MMT of corn today. Firmer wheat markets on the back of the Russian "invasion" of Ukraine added support to corn. Sep 14 Corn closed at $3.61 3/4, up 5 3/4 cents; Dec 14 Corn closed at $3.69 1/4, up 4 1/4 cents. Wheat: The wheat market closed higher following the news that Russian forces had crossed the border in Ukraine. Nato released satellite images it said showed Russian forces inside Ukraine. Russia denied the reports. That was enough to encourage some nervous short-covering in wheat though. Weekly export sales were "ho hum" at 403,600 MT. Interestingly Brazil took 94,000 MT of that, despite having recently re-introduced the 10% duty on wheat imports from outside the Mercosur trade bloc. MDA CropCast raised their forecast for the EU-28 wheat crop by 510 TMT to 145.3 MMT, a 4.8% rise year-on-year. The Buenos Aires Grain Exchange said that "torrential" rain in Argentina was putting the 2014/15 wheat crop there at risk. Sep 14 CBOT Wheat closed at $5.56 1/2, up 9 1/4 cents; Sep 14 KCBT Wheat closed at $6.35, up 7 cents; Sep 14 MGEX Wheat closed at $6.12, up 1 3/4 cents. 28/08/14 -- EU grains rose following news reports that Russian forces had mounted a military offensive in Eastern Ukraine. This prompted some short-covering, and possibly encouraged a little bit of spec buying too. Traders will recall that Chicago wheat jumped almost 30% following the Russian invasion of Crimea, even if it did subsequently give up all those gains, and then some. The day closed with Nov 14 London wheat up GBP1.30//tonne to GBP121.75GBP/tonne, Nov 14 Paris wheat ended EUR1.50/tonne higher at EUR175.00/tonne, Nov 14 Paris corn was up EUR0.75/tonne at EUR152.75/tonne, whilst Nov 14 Paris rapeseed was EUR2.75/tonne firmer at EUR328.50/tonne. Using the most evocative language he could think of, the Ukraine PM said that Russia had "unleashed a war in Europe" in what looks like a clear plea for help from the West. How this all pans out remains to be seen, but the possibility of further sanctions against Moscow can't be ruled out, although what form these might take is anybody's guess. The uncertainty of it all is probably enough to encourage some to think that the safest place to be right now isn't short of wheat, even if global production this year is to be at, or close to, record levels. MDA CropCast today raised their forecast for EU-28 wheat production by 510 TMT from last week to 145.29 MMT on the back of improved yield estimates for the UK, without telling us specifically what that estimate was. Brussels said that they'd issued 653 TMT of soft wheat export licences this past week, taking the 2014/15 seasonal total to date to 3.8 MMT. They also granted 122 TMT worth of barley exports, taking the cumulative total so far to 1.5 MMT. In addition to that they authorised 164 TMT worth of wheat imports from Ukraine, under the existing preferential duty free tariff agreement that is in place until the end of October. The remainder of that 950 TMT quota is now less than 20 TMT, and is likely to be zero by next week. Ukraine's duty free corn quota has already been filled. Ukraine said that they'd exported 4.5 MMT of grains so far this marketing year, including 2.4 MMT of wheat, 1.7 MMT of barley and 377 TMT of corn. Morocco said that it's harvest was over, producing 5.1 MMT of wheat and 1.7 MMT of barley. For wheat that's a 27% decline on last year, although that number is actually 400 TMT more than the current USDA estimate. For barley it represents a 37% decline versus 2013, although it's very similar to the existing USDA forecast of 1.75 MMT. Interestingly, despite the sharp fall in wheat production this year the USDA only has Morocco down to import 3 MMT of wheat in 2014/15 versus 3.9 MMT in 2013/14. Barley imports are forecast to rise from 500 TMT to 600 TMT. 27/08/14 -- Soycomplex: Beans closed lower save for the increasingly erratic front month Sep 14. Oil World's Thomas Mielke said that soymeal is overpriced and that prices could fall by 10% in the next 3-4 months. He forecast 2014/15 global soymeal production at 199.0 MMT, up 6.4% versus 187.0 MMT a year ago. The US Soybean Export Council estimated the 2014 US soybean crop at 3.8-4.0 billion bushels versus the current USDA estimate of 3.82 billion. Dr Cordonnier increased his estimate for US soybean yields this year to 45.5 bu/acre versus a previous estimate of 45.0 bu/acre. IMEA said that Mato Grosso farmers will begin planting their 2014/15 soybean crop as soon as the government exclusion period (aimed at combating the spread of Asian Rust) ends on Sept 15. They have currently only forward sold 8% of their new crop beans versus 32% a year ago, they added. The Argentina Ag Ministry said that growers there have sold 55.49% of their 2013/14 soybean crop versus 63.77% a year ago. Trade estimates for tomorrow's weekly export sales report for beans are between zero and negative 150 TMT on old crop as the 2013/14 draws to a close. New crop sales are forecast strong at 750 TMT to 1.1 MMT. 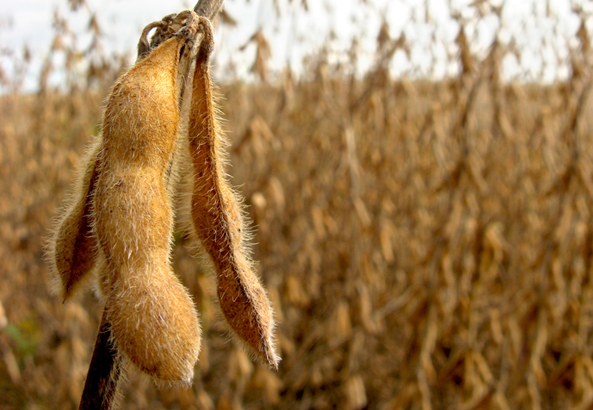 Sep 14 Soybeans closed at $10.85 3/4, up 10 1/4 cents; Nov 14 Soybeans closed at $10.23 3/4, down 4 1/4 cents; Sep 14 Soybean Meal closed at $416.80, up $28.10; Sep 14 Soybean Oil closed at 32.67, down 36 points. Corn: The corn market closed flat on a general lack of fresh news. 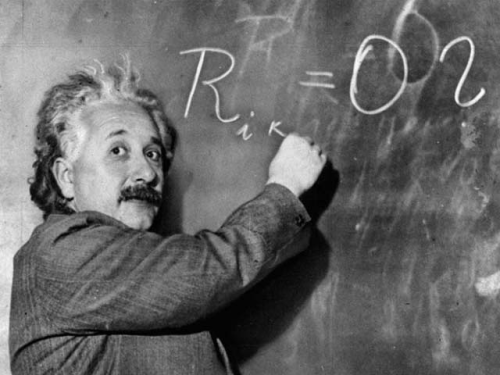 "The corn market lacked fresh inputs of either persuasion. The negative factors will continue to limit upside, while supportive factors basically impossible to find. Talk of large yields in the southern plains and southeast continue to be mentioned," said Benson Quinn Commodities. Traders note that we often don't see the bottom of the corn market until October. Taiwan's MFIG are tendering for 60,000 MT of Brazilian or South African corn for Oct-Nov shipment. Ag Resource estimated 2014/15 US corn ending stocks at 2.1 billion bushels, rising to 3 billion by the end of 2015/16. That's up sharply from 1.2 billion bushels at the end of the current season. They see the average 2014/15 US corn price at $3.40/bushel. Dr Cordonnier estimated 2014 US corn yields at a record 170 bu/acre, up from a previous forecast of 169 bu/acre. The Argentine Ag Ministry said that growers there had sold 63.72% of their 2013/14 corn crop versus 73.84% a year ago. South Africa's CEC estimated corn production there at 14.307 MMT, the highest in 30 years. Data from the US Energy Dept showed weekly ethanol production fell to 913k barrels/day last week. Trade estimates for tomorrow's weekly export sales report for corn are around a combined 450-750 TMT, with old crop sales 100 TMT either side of zero. Sep 14 Corn closed at $3.56 and Dec 14 Corn closed at $3.65. Both completely unchanged. Wheat: The wheat market closed mixed. There was little change to the situation in Russia/Ukraine. Exports out of the region appear to be continuing unhindered. The head of the Russian Grain Union forecast grain production there at 104 MMT, but said that output could rise above the 2008/09 post-Soviet era record of 108 MMT given favourable weather between now and the end of the harvest. That currently stands at 72.9 MMT off 54% of the planned area. Wheat production could come in at 60 MMT, he opined. It's at 46.9 MMT so far off 55.3% of plan. He said that 2014/15 grain exports would be a record 30 MMT. They exported a record for the month in July and are expected to have shipped out a record for any month in August. The USDA's FAS forecast the EU-28 grain crop at 306.1 MMT, a 2.5 MMT increase on their previous estimate and the second highest in history, beaten only by output of 312 MMT in 2008/09. The USDA's FAS in Canada estimated wheat production there this year at just under 28 MMT versus the record crop of 37.5 MMT last year. Exports will only decline relatively modestly though, down 6% to 21.5 MMT in 2014/15, they added. The Argentine Ag Ministry said that farmers there had only sold 67.53% of their 2013/14 wheat crop versus 99.12% a year ago. Trade estimates for tomorrow's weekly export sales report are a modest 300-500 TMT. Sep 14 CBOT Wheat closed at $5.47 1/4, up 5 3/4 cents; Sep 14 KCBT Wheat closed at $6.28, up 7 cents; Sep 14 MGEX Wheat closed at $6.10 1/4, down 2 1/2 cents. 27/08/14 -- EU grains closed mostly a little higher on the day,although London wheat was flat to a touch lower, hindered by a larger than normal EU/Black Sea feed wheat crop and a firmer sterling. The day ended with Nov 14 London wheat down GBP0.15/tonne at GBP120.45/tonne, Nov 14 Paris wheat was up EUR0.75/tonne at EUR173.50/tonne, Nov 14 Paris corn was up EUR0.50/tonne from last night's more than 4-year low to EUR151.50/tonne and Nov 14 Paris rapeseed rose EUR1.50/tonne to EUR325.75/tonne. The head of the Russian Grain Union, who often err on the cautious side with their production estimates, said that the country's 2014 grain harvest could beat the current post Soviet era record of 108 MMT set in 2008/09. At the very least the harvest had a very good chance of being the second largest since the break up of the old Soviet Union, he said. Wheat production this year will come in at around 60 MMT, he forecast. Exports in 2014/15 would be a minimum of 30 MMT, he added. The Russian Ag Ministry yesterday raised their forecast for these to 27.5-30.0 MMT from a previous forecast of 25-27 MMT. Anything in excess of 27.02 MMT would also constitute a record. Rusagrotrans forecast Russia's August grain exports at a record 4 MMT. Wheat production this year would reach 57.9 MMT, an 11% rise on last year, with barley output up more than 29% to 19.9 MMT, they said. The 2014 Russian grain harvest currently stands at 72.9 MMT off 54% of the planned area. Wheat accounts for 46.9 MMT of that total off 55.3% of plan, with barley adding a further 16.5 MMT off 67.9% of the forecast area. Ukraine said that they'd harvested 35.2 MMT of early grains, which excludes corn, off 9.6 million hectares. That total includes 24.4 MMT of wheat and 9.3 MMT of barley. APK Inform said that Ukraine's seaports had exported 589.2 TMT of grains in the week through to Aug 24, down fractionally on 595.8 TMT a week previously, but a very respectable total nevertheless. Certainly the fighting in the east doesn't appear to be having any effect on exports at the moment. Last week's total included 461.7 TMT of wheat and 123.4 TMT of barley. The USDA's FAS said that Canada would harvest a fraction under 28 MMT of wheat this year, which is a bit more than the 27.7 MMT forecast by Stats Canada late last week, although 25% down on last year's record crop. Exports will only fall 6% to 21.5 MMT in 2014/15 however, aided by a weak Canadian dollar, they said. Their equivalent in Europe forecast the wheat crop here at a near record 148.5 MMT, up more than 3% on last year's 144 MMT. 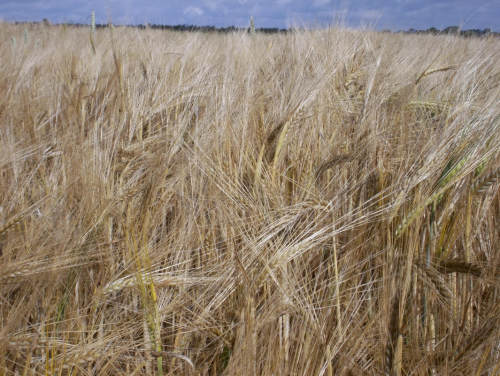 They also estimated the EU-28 barley crop at 6.5 MMT, a more than 5% decline on last year when an unusually large area of spring barley was planted. The quality of this year's barley crop is quite high despite rain at harvest time, they said. Corn production will rise nearly 4% to 67.5 MMT this year, they added. Despite the higher production numbers, wheat exports in 2014/15 will fall more than 21% to 25 MMT, they forecast. 26/08/14 -- Soycomplex: Beans closed a little lower, save for front month Sep 14 which continued its spectacular fall from grace. That contract has now fallen around 90 cents in the last two sessions, whist Sep 14 meal is down by almost $45 in the same couple of days. The decline follows news that some new crop beans have been harvested in the south, with excellent very early yields being reported out of one particular county in Mississippi - 85-100 bu/acre. That reinforces the view that this season's upcoming harvest has excellent potential to be huge. Yesterday's USDA crop ratings, whist showing a small decline for beans in the good to excellent category, were still the best for 22 years at this time of year. As the 2014 US soybean harvest gets going, some thoughts are already turning to 2015. The current soy:corn price ratio still favours bean plantings. A Farm Futures survey into preliminary planting ideas for next year said that US farmers would increase their soybean plantings by 2.6% to a new record 86.6 million acres next year. That would come on the back of what looks pretty certain to be a record US crop this year, and record plantings in Brazil (and I expect from Argentina too) later this year. Sep 14 Soybeans closed at $10.75 1/2, down 50 1/4 cents; Nov 14 Soybeans closed at $10.28, down 1 1/4 cents; Sep 14 Soybean Meal closed at $388.70, down $17.40; Sep 14 Soybean Oil closed at 33.03, up 29 points. Corn: The corn market closed down, although off the lows. As with soybeans, the conviction that US yields will be record and production will be huge this year, grows with every passing day at the moment. Last night's one point rise in crop conditions from the USDA to 73% good to excellent was said to be the highest rating since 1994. Also as with soybeans, early limited corn harvesting in the south is doing nothing but add to the conviction that this year's US crop is going to be a monster. "Despite the recovery late in the session, the list of items offering resistance is growing with reports the corn harvest in the southern plains and southeast is yielding much better than expected," said Benson Quinn Commodities. The EU-28 corn crop is also looking magnificent, helped by recent plentiful rains. A much larger feed wheat crop in Europe, and also Ukraine, this year also leans bearish for corn. Certainly some of this feed wheat will be/is already finding its way into potentially traditional US corn homes in Asia. The same Farm Futures survey referred to above said that US growers might still plant more than 90 million acres of corn in 2015, despite current low prices. The survey placed the actual number at 90.5 million acres, down a relatively modest 1.2% from the 91.6 million currently said to have been planted this year. Sep 14 Corn closed at $3.56, down 4 cents; Dec 14 Corn closed at $3.65, down 2 1/2 cents. Wheat: The wheat market closed mixed, although generally with small losses. Egypt's GASC bought Russian and Romanian wheat, with US material not even offered. They dropped their min hagberg requirement to 200, which encourage four (still unsuccessful) French offers. Persistent rains on the Northern Plains, and into Canada too, are said to be causing potential quality losses to spring wheat in the region. Farm Futures Magazine found that some growers on the Northern Plains might be wooed into giving soybeans a try next year, with 2015 US spring wheat planting intentions seen falling 8.6% to 11.6 million acres. The situation is completely different in Central and Southern Plains winter wheat areas though, due to current good soil moisture profiles. Winter wheat seedings, which are set to begin soon, could be up 3.1% on last year to 43.6 million the survey found. Russia's grain harvest is getting larger every day. The Ag Ministry there now say that the country had harvested 72.3 MMT of grains off 53.3% of the planned area. Wheat accounts for 46.7 MMT of that total off 54.9% of plan, with yields up 17.5% at 3.36 MT/ha. The Russian Ag Ministry today raided their forecast for Russian grain exports in 2014/15 to a potentially record 27.5-30.0 MMT, up from a previous estimate of 25-27 MMT. Sep 14 CBOT Wheat closed at $5.41 1/2, down 1 cent; Sep 14 KCBT Wheat closed at $6.21, down 1 3/4 cents; Sep 14 MGEX Wheat closed at $6.12 3/4, down 4 1/4 cents. 26/08/14 -- EU grains closed mixed, but mostly lower, with the exception of rapeseed. The "insurance" premium built in prior to the weekend to cover against an escalation of tensions between Russia and Ukraine/the West was essentially taken away again. This came following news that the Ukraine President was to meet with Russia's President Putin in Belarus in an effort to resolve the fighting with pro-Russian separatists in the east of the country. The day ended with Nov 14 London wheat down GBP2.40/tonne at GBP120.60/tonne, Nov 14 Paris wheat was EUR0.75/tonne lower at EUR172.75/tonne, Nov 14 Paris corn was down EUR1.00/tonne EUR151.00/tonne and Nov 14 Paris rapeseed was EUR2.75/tonne higher at EUR324.25/tonne. Egypt's GASC bought 175 TMT of Russian/Romanian wheat for late September shipment in a tender, with Russian origin getting the lion's share. French wheat was offered, but was out-priced, although not by much based on the cheapest price on the table. All in there were four French cargoes offered, that might be a sign that all is not completely lost with regards to the quality of this year's crop there. Ukraine wheat wasn't offered, reinforcing the view that the quality of their crop this year isn't great. Some early season sales were made to Egypt, but what had been shipped so far is said to be disappointing in terms of both hagberg and gluten levels. The Ukraine Ministry said that the country's wheat harvest was now 99% complete, producing a crop of 24.4 MMT so far in bunker weight, versus a clean weight harvest of 22.3 MMT last year. Estimates on how much of this year's crop will only be suitable for feed vary to anywhere from 40-70% compared to around 25% last year. Certainly that means that there will be a lot more Ukraine feed wheat looking for a home this year. That could put some further downwards pressure on the London market, especially when the EU and Ukraine 2014 corn harvest gets underway. Russia said that their 2014 grain harvest had reach 72.3 MMT, including 46.7 MMT of wheat. The Ministry raised their grain export forecast again today, now projecting foreign sales at 27.5-30.0 MMT, which would potentially beat the 2011/12 record of 27.02 MMT. Weakness of the Russian rouble and strong demand for what is essentially the cheapest quality wheat in the world at the moment is keeping local prices fairly well supported. Russian farmers seem to be reasonably keen to accept these levels to fund their autumn planting program and settle their debts. Russia is said to be to discuss a deal with Iran to swap wheat for oil next month. Algeria meanwhile said that it would not accept wheat of mixed origin against any of its tenders. They would normally buy most of their wheat requirements from France, who have reportedly been importing milling wheat from the UK and Lithuania in the past couple of weeks. It's market conjecture that these imports have been made with a view to blending them with some of this year's inferior quality French wheat to "up the spec" for wheat to be exported to homes such as Algeria. Driving around South Yorkshire and Lincolnshire yesterday it was apparent that there's still a fair bit of wheat left to harvest in the region, maybe 15-20% or so at a guess. This isn't a huge corn growing region, but what was on display looked to have excellent potential. 25/08/14 -- Soycomplex: Was this the day that the front end premium on beans and meal finally started to capitulate? It could be, after both closed a choppy session sharply lower after posting further strong gains earlier in the day. Reports of some early soybeans getting harvested in the Delta to take advantage of the huge nearby premiums, and some processors pulling cash bids, appear to have sent some remaining spec longs scrambling for the exit. Nov 14 beans meanwhile set a new contract low. Global soybean supplies will soon be on the rise, outstripping forecast increases in consumption, taking ending stocks to record levels in the year ahead. Oil World estimated the 2014/15 global soybean crop at 306.7 MMT versus a previous estimate of 305.6 MMT and up 7.8% from 284.6 MMT in 2013/14. World soybean consumption in 2014/15 will be 290.2 MMT, up from a previous estimate of 288.1 MMT and up 3.9% from 274.4 MMT a year previously, they added. They see global soybean ending stocks rising 23.6% to a record 86.4 MMT next season. Argentina said that their July soybean crush was 3.908 MMT, up 7.3% from a year ago. That takes the Jan-Jul crush to 22.237 MMT, up 12.7% from year ago. After the close the USDA trimmed soybean crop condition ratings by one percentage point to 70% good to excellent versus 58% a year ago. They said that 90% of the crop was setting pods, one point ahead of the 5-year average. Sep 14 Soybeans closed at $11.25 3/4, down 40 1/4 cents; Nov 14 Soybeans closed at $10.29 1/4, down 12 3/4 cents; Sep 14 Soybean Meal closed at $406.10, down $27.20; Sep 14 Soybean Oil closed at 32.74, up 38 points. Corn: The corn market closed around 5 cents lower. ProFarmer didn't estimate US 2014 corn yields as high as they might have done on Friday, even if 169.3 bu/acre was almost 2 bu/acre above the USDA and easily a record number. Many still think that we will end up above 170 bu/acre. ProFarmer have underestimated both corn and soybean yields for the past two years in their August crop tour. US weather seems to be doing it's best to make this come true again this year. "Resistance stemmed from a general negative view towards the corn market and beneficial rains falling in areas of NW IA and NW ILL that have tended to be dry over the course of the last month. Additionally, many other key corn and soybean growing regions saw additional rainfall to complement the rains of last week. All in all, the environment looks good for late season development," said Benson Quinn Commodities. 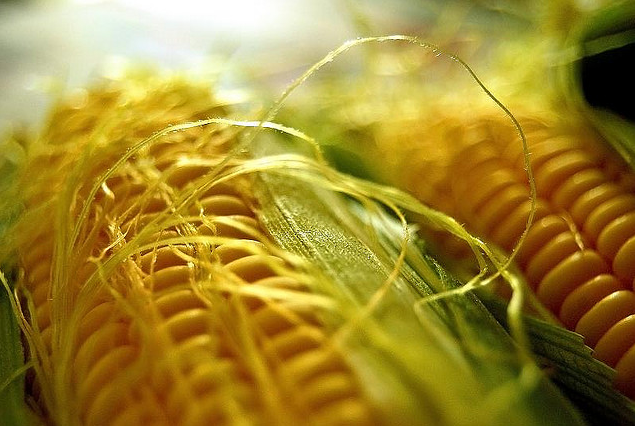 The USDA announced 113,673 MT of US corn sold to Costa Rica, along with 120,000 MT to Colombia for 2014/15 shipment under the daily reporting system. After the close the USDA raised good to excellent crop condition by one percentage point to 73% good to excellent versus only 59% this time last year. Illinois is at 82% good to excellent, with Iowa and Ohio at 75% and Indiana 73%. They said that 83% of the crop is at the dough stage versus 78% for the 5-year average, although denting still lags a little at 35% versus 43% for the 5-year norm. Sep 14 Corn closed at $3.60, down 5 1/2 cents; Dec 14 Corn closed at $3.67 1/2, down 4 cents. Wheat: The wheat market closed lower. If Ukraine/Russian tensions maybe didn't improve over the weekend, they didn't seem to get any worse either. Weakness in corn won't have helped wheat's cause today. Malaysia were reported to have bought 5,000 MT of Black Sea origin feed wheat for Sept shipment. Asian buyers are seen increasingly looking to the Black Sea for potentially cheap supplies of feed wheat over the next few months. Concerns that too much rain in spring wheat areas may be harming quality remain. 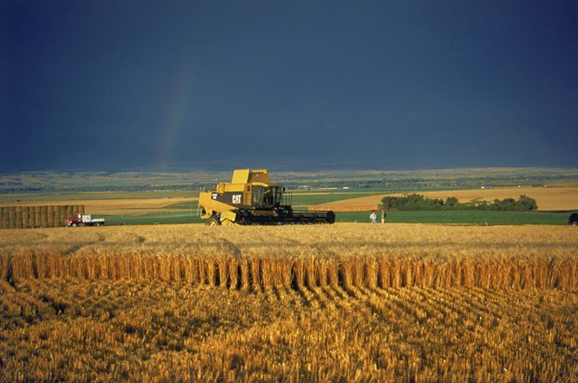 The USDA said that the 2014 US spring wheat harvest was only 27% complete versus 49% normally at this time. Whilst Washington is 91% done compared to only 52% normally, The Dakotas and Minnesota are well behind. ND is only 10% complete versus 43% normally at this time, SD is at 57% compared to 87% on average and MN is 22% done versus 66% normally. Spring wheat crop conditions were cut 2 percentage points to 66% good to excellent, which is now a point behind this time last year. Russia said that it had now harvested 71.5 MMT of grains off 52.3% of the planned area, that includes 46.2 MMT of wheat off 53.8% of plan. Egypt's GASC are tendering for wheat for last-half September shipment overnight. US wheat is unlikely to feature, with Black Sea sellers once again the most likely winners on both price and freight. Traders said that US SRW wheat is probably around $10/tonne too expensive to be competitive. Sep 14 CBOT Wheat closed at $5.42 1/2, down 9 1/2 cents; Sep 14 KCBT Wheat closed at $6.22 3/4, down 10 3/4 cents; Sep 14 MGEX Wheat closed at $6.17, down 9 3/4 cents. 25/08/14 -- Paris grains closed mixed, but mostly lower, in a relatively subdued session, with London markets closed for the Bank Holiday. The day ended with Nov 14 Paris wheat ended EUR0.25/tonne lower at EUR173.50/tonne, Nov 14 Paris corn was down EUR0.75/tonne at EUR152.00/tonne, whilst Nov 14 Paris rapeseed was EUR3.25/tonne lower at EUR321.50/tonne. Fresh news was relatively thin on the ground, and US grain markets were mostly in the red, save for the continued early strength displayed in the nearby soybean and meal contracts. Somebody suddenly pulled the plug on even that in late afternoon trade. Cheap and cheerful Romania said that they'd harvested a record wheat and rapeseed crop this year, putting production of the former at 7.4 MMT and the latter at 1.1 MMT. The EU Commission's MARS unit said that "the overall forecasted EU-28 cereal yield for 2014 remains favourable, at the level of last year and above the last five years’ average (+6.1%). Yield prospects for grain maize are excellent at the moment." They forecast the EU-28 2014 soft wheat yield at 5.85 MT/ha, up from 5.8 MT/ha a month ago and 5.1% above the 5-year average. The EU-28 barley yield was estimated at 4.61 MT/ha versus 4.54 MT/ha last month and 2.7% above the 5-year average. Corn yields this year were now placed at 7.53 MT/ha versus 7.23 MT/ha in July and 11.1% ahead of the 5-year average. "Large parts of Europe, from France to south-western Romania, experienced exceptionally high rainfall levels. Although this led to a slowing down and interruption of harvesting activities, the negative impact on winter and spring cereals was limited, with severe problems only occurring locally," they observed. "Conditions for summer crops are good to excellent in most of Europe. Near-average temperatures and the humid weather have boosted the growth of summer crops, especially for maize," they added. For the UK specifically they forecast 2014 wheat yields at 8.24 MT/ha, up from 8.13 MT/ha a month ago, 11.6% up on last year and 10% above the previous 5-year norm. Barley yields were estimated at 5.81 MT/ha, unchanged on last month and marginally down on 5.85 MT/ha a year ago, if a fraction above the 5-year average. 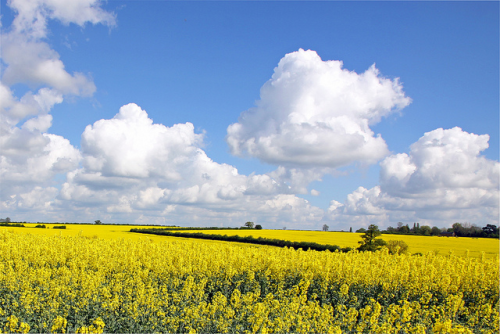 The average UK rapeseed yield this year was estimated at 3.81 MT/ha, also the same as last month, 28.1% up versus last year and 11.4% up compared to the preceding 5-year average. Russia said that it had now harvested 71.5 MMT of grains off 52.3% of the planned area. That total includes 46.2 MMT of wheat off 53.8% of plan, with average yields up 18.5% at 3.39 MT/ha. 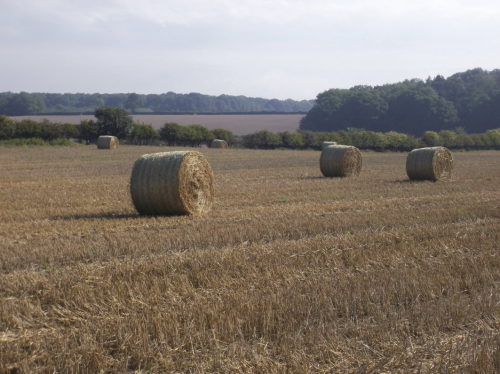 They've also harvested 15.9 MMT of barley off 65% of the intended area. In addition the first few thousand hectares of this year's corn crop have now been harvested. Early yields are up 22.3%, although this is only off less than 1% of the planned area. Russia said that it had already exported 5.857 MMT of grains this season (Jul 1 - Aug 20), a 22.7% increase on this time a year ago. That total consists mostly of wheat (5.148 MMT), with a smaller volume of barley (633 TMT) and a bit of corn (51 TMT) and other crops. The Russian Ag Min last week raised their forecast for 2014/15 total grain exports to 25-27 MMT. Ukraine said that it had exported a little over 4 MMT of grains so far this season (to Aug 22), including just over 2 MMT of wheat, more than 1.5 MMT of barley and 373 TMT of corn. 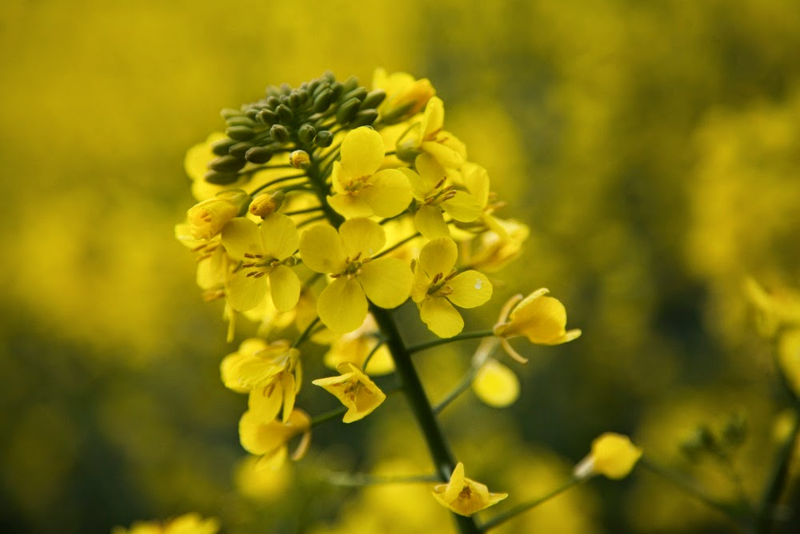 Oil World raised it's forecast for world 2014/15 oilseed production from 505 MMT to 507.2 MMT, which is 3.7% up versus 2013/14. 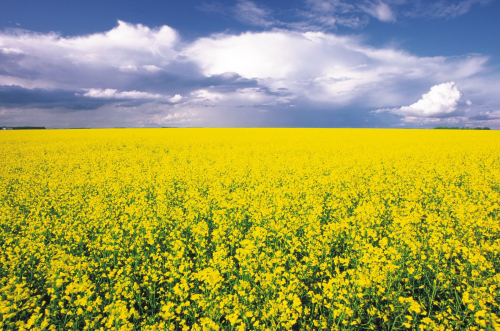 They see the global soybean crop at 306.7 MMT, and the world rapeseed crop at 68.7 MMT. Soybean consumption in 2014/15 was estimated at 290.2 MMT, with that of rapeseed outstripping production slightly at 69 MMT. The diary for the week ahead doesn't contain anything that looks too exciting. The USDA will report on the latest US crop conditions and spring wheat harvest progress tonight. Thursday brings the usual weekly export sales report, and the IGC are out on Friday with their monthly report. In outside news, the BBC report that Russia are to send another "aid" convoy into Ukraine within days. That could add a bit more unpredictability to the markets this week. ProFarmer Midwest Crop Tour Record Estimates Still Understated? 25/08/14 -- Re the ProFarmer yield estimates released on Friday, in which they pegged US corn and soybean yields and production in 2014 at record levels, albeit maybe not quite so high as some were expecting. For what its worth, I did a little bit of research into recent tour estimates, and it's maybe worth noting that they've been on the low side for both corn and beans the previous couple of years, we have to go back to 2011 to find estimates that were pretty close to the final USDA figures. In 2013 they pegged US corn yields at 154.1 bu/acre, with production at 13.46 billion bushels. The final USDA numbers were 158.8 and 13.925 respectively - meaning ProFarmer were 3% under on yields and 3.5% under on production in August that year. For beans in 2013 they said 41.8 and 3.158 versus a final USDA estimate of 43.3 and 3.289 billion - 3.6% under on yields and 4.1% under on production. It was a similar story in 2012: Corn 120.25/10.478 versus final figures from the USDA of 123.4/10.780 - 2.6% and 2.9% under respectively; for beans 34.8/2.692 versus 39.8/3.034 - 14.4% and 12.7% underestimated. Of course it's much harder to predict final yields now than it is "after the event" but the point is that on the evidence of the last two years there's the potential for final yields and production to ultimately come in significantly better still than even the record levels indicated by ProFarmer on Friday night. 22/08/14 -- Soycomplex: It was a case of "same story, different day" for soybeans, with the front end surging higher on continuing availability (or rather, lack of availability) problems in the US. There are reports suggesting that various US crushing plants are being forced into taking temporary downtime until new crop becomes available. That's also supporting nearby meal, which also posted strong gains again today. It's a different story on the new crop though, as the market anticipates record US 2014 production waiting in the wings, and knows that price rises will only encourage further increased plantings in South America, with Brazilian growers preparing to begin sowing around a month from now. Even new crop months managed more modest gains in beans and meal today though, although the trade is ever conscious of a deluge of new crop beans to come. The high nearby premiums will also of course encourage US growers in the South to get stuck into their new crop as soon as it is humanly possible to do so. "Once the squeeze on the front end is over, downside risk in the beans looks sizeable with weather forecasts supporting (a) big crop outlook," said Benson Quinn Commodities. The USDA announced 120,000 MT of US new crop beans sold to China. Keep in mind though that this is nothing more than routine business, China needs to buy 1.4 MMT of soybeans each and every week of 2014/15 if they are to match the USDA's prediction that they will import 73 MMT next season. The end results of the ProFarmer Midwest Crop Tour were released after the close. 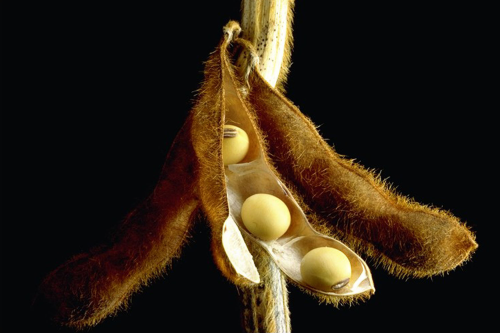 They estimated US soybean yields at 45.3 bu/acre, and production at 3.812 billion bushels. Both were fractionally under the USDA's current estimates of 45.4 bu/acre and 3.816 billion bushels. It may be worth noting that the 2013 ProFarmer tour put yields at 41.8 bu/acre versus the final USDA estimate of 43.3 bu/acre. They had production at 3.158 billion bushels a year ago versus the USDA's final 3.289 billion. Managed money was reported to have net short in beans of 16,698 contracts, their second largest short position since October 2006. Sep 14 Soybeans closed at $11.66, up 29 3/4 cents; Nov 14 Soybeans closed at $10.42, up 3 3/4 cents; Sep 14 Soybean Meal closed at $433.30, up $19.50; Sep 14 Soybean Oil closed at 32.36, down 42 points. For the week that puts Sep 14 beans up 63 1/2 cents, and Nov 14 down 10 cents. Front end meal gained $45 during the course of the week and oil fell 51 points to new 5-year lows. Corn: The corn market closed around 2-3 cents firmer, aided by spill over support from wheat which posted some decent gains early in the session on renewed tensions between Russia and Ukraine as Moscow sent it's "aid" convoy across the border without permission from anybody but itself. The final day of the ProFarmer crop tour estimated Iowa corn yields at 178.75 bu/acre versus 171.94 bu/acre a year ago and the 3-year average of 157.94 bu/acre. In Minnesota they pegged the average corn yield at 170.76 bu/acre versus 181.09 bu/acre a year ago and the 3 year average of 171.07 bu/acre. On a national level they placed 2014 yields at 169.3 bu/acre, up on the USDA's current 167.4 bu/acre estimate, but maybe not as high as some would have thought - even if that is a record number. ProFarmer put production at 14.093 billion bushels, higher than the USDA's 14.032 billion, but again not as high as it might have been. Lanworth today estimated US corn yields at 174.5 bu/acre. For what it's worth, this time last year ProFarmer forecast US corn yields at 154.1 bu/acre versus a final USDA estimate of 158.8 bu/acre. It would seem that whilst there is still some upside potential on final 2014 US corn and soybean yields then, the market has maybe found its place for now until more accurate final yield figures can be given. That will only happen once the harvest starts. On the weather front: "Hotter temperatures are developing this week in the Midwest. A warm ridge of high pressure – the Bermuda High – is expanding northward taking control of the eastern third of the United States. Midwest temperatures are expected to heat up into the high 80s F – low 90s F. With extreme heat comes high evaporation. Rainfall is expected to be heavy on most Midwest farms. These would be recurring showers, heavy some days, light on others, over the next 7 days. The best rainfall, 2.5 – 4 inches, is predicted in a wide swath of Nebraska and Iowa. Very substantial rainfall, 1.5 – 2 inches, is projected in southern Minnesota, western Wisconsin and northern Illinois. Elsewhere in the Midwest, lighter amounts of rainfall are predicted. The message is that corn and soybeans that miss heavy rainfall would be stressed by the extreme heat and high evaporation," said Martell Crop Projections. Managed money is tonight reported to be net long 64,719 contracts in corn as of Tuesday night. Sep 14 Corn closed at $3.65 1/2, up 3 1/4 cents; Dec 14 Corn closed at $3.71 1/2, up 2 1/2 cents. Sep 14 was virtually unchanged - down 1/4 cent - for the week. Wheat: The wheat market closed higher across the three exchanges, although ultimately finishing well off the highs of the day. Chicago wheat performed the least well of the three, ending around 8-10 cents below the intra-day highs. Kansas and Minneapolis wheat finished the session around 4-6 cents off the highs of the day. Once more, any sign of an increase in tension between Russia and Ukraine/the West sends the wheat market into a short-covering tizz. As well as sending it's "aid" convoy into Ukraine without permission, Russia is also again said to be building air and ground forces close to the border. Kiev is now said to be lining up a "show of strength" over the weekend, as it marks its independence day with a military parade in Kiev. The BBC report that pro-Russian separatists in Donetsk say that they will stage their own parade, including displaying captured soldiers. "As has been the case (recently), renewed tensions in the Black Sea region come to light on a Friday. They have helped, if not caused higher trade on Fridays. Through the last couple of late week dealings, news from this region over the weekend has been benign. Only time will tell, if issues escalate this weekend," noted Benson Quinn. This may be encouraging some to think that sitting out of the wheat market might be the best course of action at the moment, even if few seem to want to play it from the long side. Managed money was reported to have reduced their net short position in Chicago wheat by more than 10k lots for the week through to Tuesday night, although they still remain short in excess of 50k contracts. The wetter upper Midwest and northern US Plains might be welcome news for corn and soybeans, but there's some talk of it causing damage to spring wheat. The USDA cut the proportion of the crop rated good to excellent by 2 percentage points this week, and a further reduction could be on the cards on Monday night. These conditions will also be holding up the harvest, which was only 17% done a week ago, around half the pace of normal. Reports also suggest that newly harvested wheat in North Dakota and Canada is testing high in vomitoxin after a wet growing season. Quality problems remain an issue in Europe too, where Strategie Grains say only 59% of the crop will make milling standard versus 71% a year ago. Egypt might be back in the market next week it is thought. It will be interesting to see what, if anything, gets offered out of France and/or Germany. Sep 14 CBOT Wheat closed at $5.52, up 5 3/4 cents; Sep 14 KCBT Wheat closed at $6.33 1/2, up 11 1/2 cents; Sep 14 MGEX Wheat closed at $6.26 3/4, up 11 cents. For the week that puts the Chicago market little changed, up 3/4 of a cent with Kansas 13 3/4 cents higher and Minneapolis up 14 3/4 cents.